Venezuelan President Nicolas Maduro at a demonstration in support of the government's emergency economic measures emergency measures, Caracas, May 14. Photo via AVN. Agustin Otxotorena, a Basque executive living in Caracas, grew tired of constant calls from friends and relatives in Spain telling him that there was no food in Venezuela. So on May 20, he began publishing photos on Facebook of supermarkets in upscale sectors of Caracas filled with goods. Ecuadorean President Rafael Correa spoke out on June 1 about efforts by right-wing political forces in Latin America to oust democratically-elected governments, saying that it would set a dangerous precedent for democracy in the region. “Right-wing politicians don't just want to return to power, they want to return with a thirst for vengeance,” said Correa during an interview with Ecuador Public Television. Protesters in working-class western Caracas hijacked trucks belonging to Venezuela’s number one private food chain, Polar, on February 18, demanding the company cease hoarding essential goods. The Polar food and beverage conglomerate is Venezuela’s largest private food provider, selling a range of products from beer to corn flour. But its owner, millionaire businessman Lorenzo Mendoza, has been consistently embroiled in scandal. 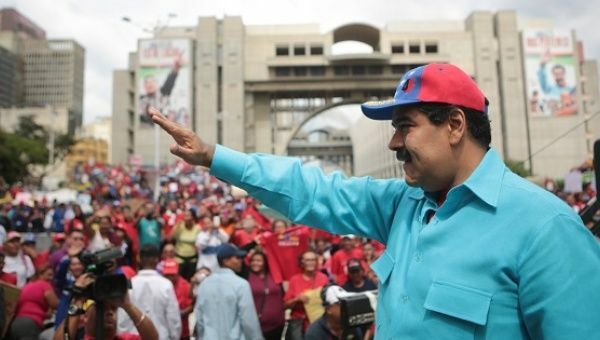 Facing possible austerity and a return to neoliberalism at the hands of a right-wing parliament, will the millions involved in Venezuela's Bolivarian revolution that has cut poverty and empowered the poor radicalise further and protect their 15 years of gains? Or will this be the blow that finally dampens their revolutionary joy and collective ambition?